Are You Afraid God Won’t Come Through for You? Are you someone who is constantly waiting for the other shoe to drop? Do you find it’s easier to expect the worst than the best? Do you find yourself fearful that God won’t really come through for you? As women, our fears range from living out our lives alone, to not being able to have children, to losing our jobs or homes or someone close to us. Often, our fears are rooted in a misunderstanding of who God really is. Depending on your upbringing, you may see God as the One who seeks to pay you back for mistakes you’ve made in the past. Or, maybe you see Him as One who will think good and hard before coming to your aid when you find you are in need. But God isn’t an angry god with a vengeance to get back at you. He’s the God who loves you and wants your love and trust in return. Hebrews 11:6 says: “And without faith it is impossible to please God, because anyone who comes to him must believe that he exists and that he rewards those who earnestly seek him” (NIV, emphasis added). God wants your faith — not your fear — that He really can come through for you. But in order to have faith in Him, you must know who He is and be convinced He’s trustworthy. So let me give you two steps that will help you get to know — and love — this God you no longer need to fear. He’s not a god who considers you bad, but is instead the God who said, “I have loved you with an everlasting love” (Jeremiah 31:3). He isn’t a god who points his finger at you and shakes his head. He is instead the God who said “I know the thoughts that I think toward you…thoughts of peace and not of evil, to give you a future and a hope (Jeremiah 29:11). He isn’t a god who desires that you be punished. He is, instead, the God who laid down His life to suffer in your place so you would not have to be separated from Him for eternity (Romans 5:8, paraphrased). He is not a god who will withdraw his love from you if you do something wrong. He is, instead, the God who says “nothing can ever separate us from Christ’s love. Death can’t, and life can’t. The angels can’t and the demons can’t. Our fears for today, our worries about tomorrow, and even the powers of hell can’t keep God’s love away” from those who have put their trust in Christ Jesus (Romans 8:38, NLT). Look for the God who pursues your heart. And let His perfect love for you drive out your fear. He is a God who comes through for those He loves. 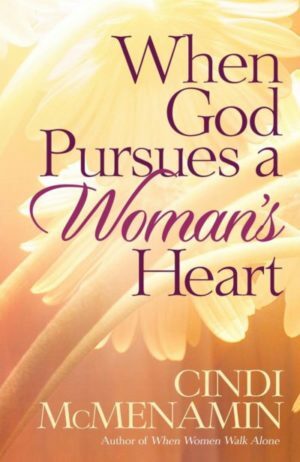 For more on God’s softer side, see my book When God Pursues a Woman’s Heart. Is it Selfish To Pursue Your Dream? on Are You Afraid God Won’t Come Through for You?. Thanks, Shonnye, for your comment. When it comes to our feelings, we need to focus on the Facts of who God is over our feelings that mislead us. That will be the subject of my blog for the next few weeks. Stay tuned. Cindi, thanks so much for this today. I am in a season in my life where I had to move for my work (a big promotion–dream job) but in this new location is someone I used to love that I never ever wanted to see again (unhealthy relationship). I have cried to God many times and asked him, why, when he promised to prosper me and give me hope and a future, am I here for my dream job but near my ‘sad past/ pain’. And slowly the answers are coming clear; I firmly believe that he has a reason and it is to bring me growth and goodness, not punishment. thanks! Thanks, Laura, for sharing your heart and admitting how easy it is to second-guess God and yet His ways are higher than our ways — every time (Isaiah 55:8-11). Keep growing in this season of strengthening. And trust Him with your story. I just want you to know how much I appreciate your ministry . It seems or I know God uses you to speak to me when I feel a certain way ! ! In this time of my new single life . Things can be scary . But I know my Father will never forsake me. I just really need to get this down deep in my soul . Please never stop your encouraging emails . God bless you sister ! ! Thank you, Keisha, for taking the time to comment. 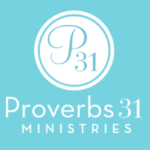 I’m glad you were encouraged by my blog and that Psalm 84:11 was a confirmation to you. Blessings…. Blessed good evening, Cindi. I just want to thank you very much for your words. I was so worried and felt down and so afraid of God not coming through for me. And as I read your words of encouragement about to have faith and not fear and to know who God is, I immediately feel a different and my faith was lifted and my tears become dry, I feel free . Thank you so much and may God continue to bless your ministry. Thank you, Judy, for letting me know how that blog encouraged your heart. Keep trusting in your Savior to come through for you.